Day #15: The Birthday Blanket Bash! On the fifteenth and final day of Deli Christmas, The Deli gave to me… The Birthday Blanket Bash! Tonight we are hosting the third and final Blanket Program event of the year! Make sure to join us here at The Deli & Top of the Market at 6:00pm as we bring the community together to make fleece tie-blankets for Dayton Children’s Hospital and St Vincent de Paul! The event is free to attend and open for all ages. We are hoping to break the 500 blanket mark for the year, and the 1,000 blanket mark for the program! Food is provided by us, Party Pleasers is DJing, Liftoff Entertainment has the photobooth, and Cake, Hope, & Love are bringing the cupcakes! 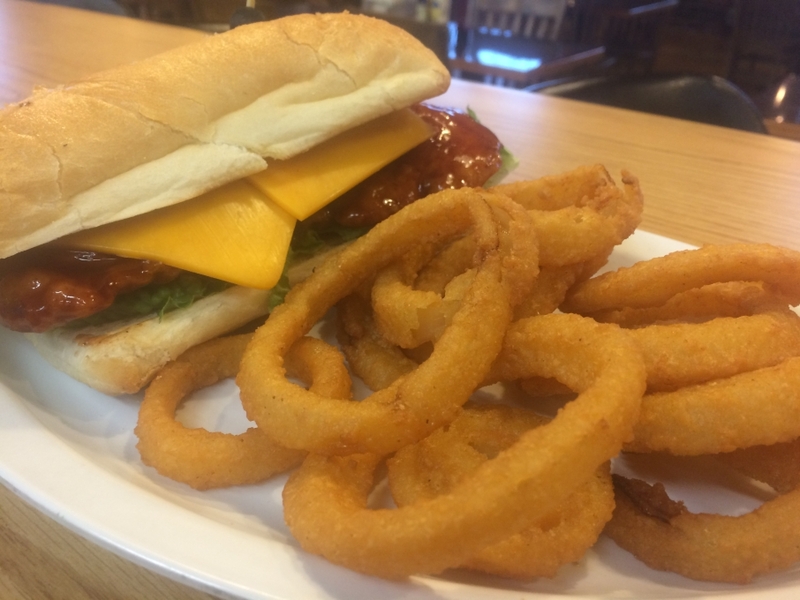 For today’s special we have chicken tenders tossed in a chipotle-peach BBQ sauce on a turano baguette with lettuce and cheddar cheese, with onion rings on the side for $8.50! Soups today are Baja Chicken Enchilada, Cream of Mushroom, and Chicken & Dumpling as well as Chili, Chicken Noodle, and Lobster Bisque! Have a great day Dayton and we will see you tonight! On the fourteenth day of Deli Christmas, The Deli gave to me… Guest Bartending at Fifth Street Brewpub! It is Birthday Blanket Bash Eve and we are ready to celebrate! Join Mark and Jeremy tonight at 6:00pm at Fifth Street Brewpub for their guest bartending night! We will be guest bartending to raise funds and awareness for The Blanket Program! We will be tapping Six Point’s Global Warmer. We are also doing the first ever collaboration special! You can get this special here at The Deli for lunch and at Fifth Street for dinner. Chef Brandon of Fifth Street Brewpub fame and our very own Chef Mark have put their heads together to come up with a twist on pigs-in-a-blanket. 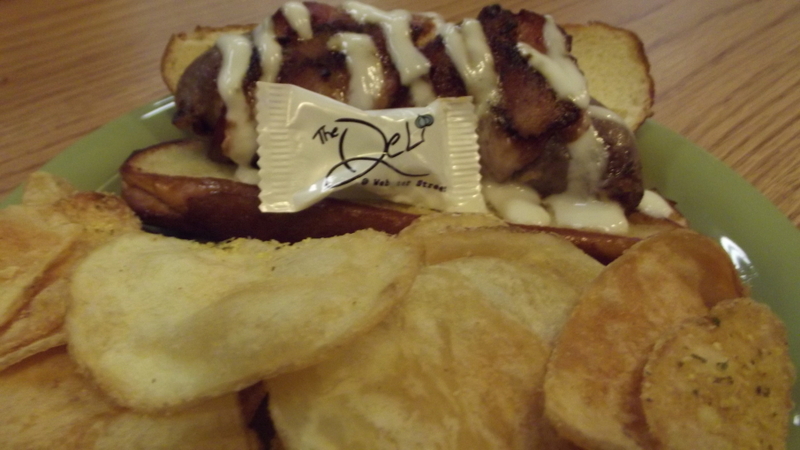 We have lamb & fig sausage wrapped with pecan-smoked bacon on a pretzel sub bun with of our saratoga chips and a thyme & honey, vanilla yogurt, $8.50. Soups today are Broccoli Cheddar, Chili, Braised Beef Vegetable, Chicken Noodle, Shorty’s Ghost Pepper Chili and the Lobster Bisque. Between now and Christmas, anyone that brings to The Deli a receipt from both The Deli and Fifth Street Brewpub, both with today’s date, will receive a free Fifteen Days of Christmas t-shirt while supplies last! Have a great day Dayton and we will see you tomorrow for The Deli & Top of the Market’s Birthday Blanket Bash! On the eleventh day of Deli Christmas, The Deli gave to me… Tag Team Battle Royale Round IV: The Deli vs Sherwood Florist! We’ve got a royal rumble for you today Dayton! 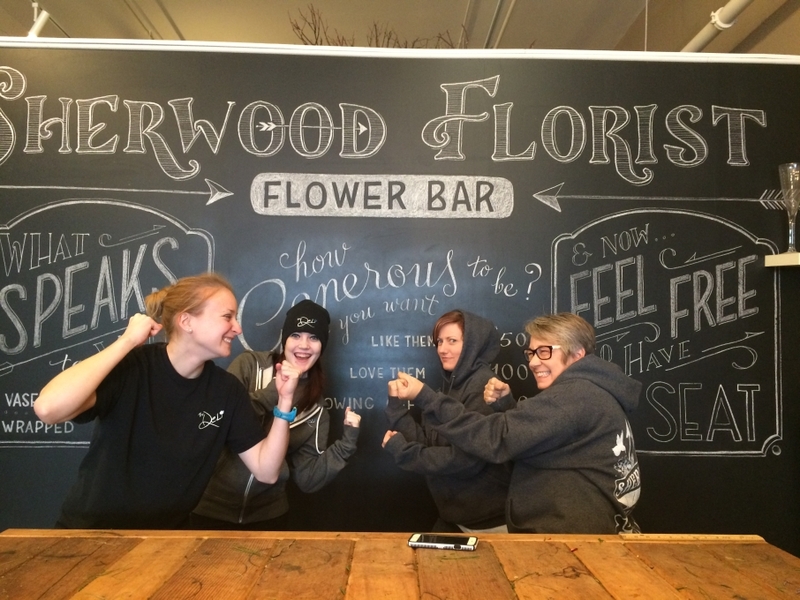 Our florist friends Jessie and Bev from Sherwood Florist have stepped up to the plate to take on Jungle Joey and Slammin’ Sammy for the fourth round of the Tag Team Battle Royael! Challengers “The Juggernaut” Jessie Wright and Bev “The Battle Axe” Guy have grilled turkey with a cranberry-boursin cheese spread, lettuce, cucumbers, and fried pickles on a baguette with Cajun fries. Reigning champs Jungle Joey and Slammin’ Sammy are bringing breakfast back with scrambled eggs, cheddar cheese, bacon, and avocado served on a bagel with cheese stuffed tater tots on the side. Both specials are $8.00 and the first to sell 20 specials today wins! Soups today are Tomato Basil, Roasted Apple Pumpkin Bacon, and Shorty’s Ghost Pepper Chili as well as our traditional Chili, Chicken Noodle, and Lobster Bisque! Have a great day Dayton and we will see you tomorrow for Elvis Presley Day! 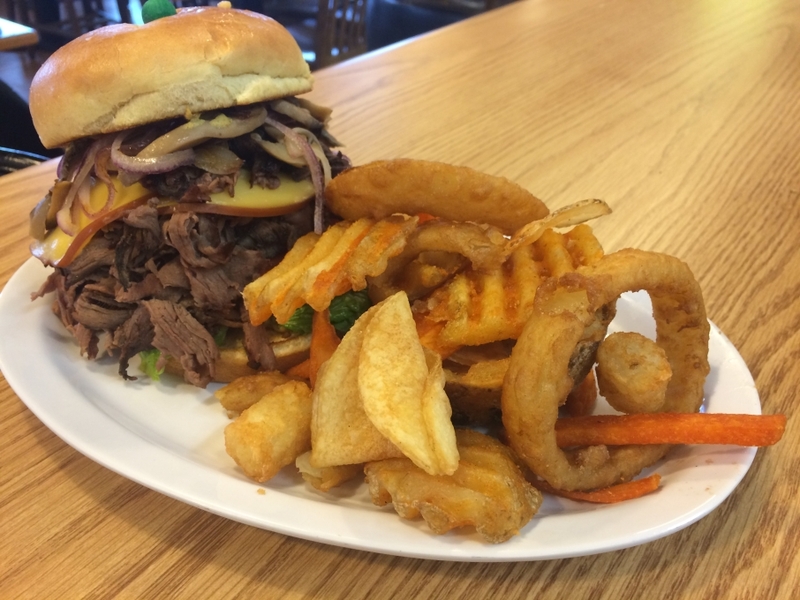 Day #10: The Deli’s Tenth Birthday and Roast Beef Thursday! 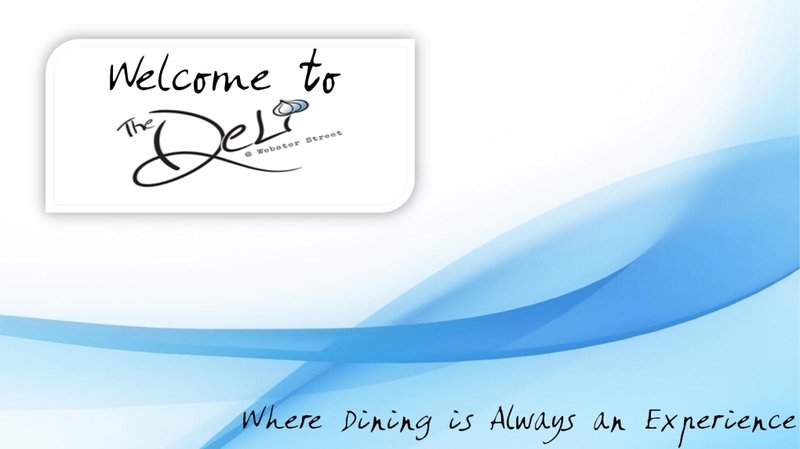 On the tenth day of Deli Christmas, The Deli gave to me… The Deli’s Tenth Birthday and Roast Beef Thursday! Today’s the day Dayton! The Deli & Top of the Market are officially ten years old! Anyone that brings us a birthday card will receive today’s special for half-price, and anyone that wishes us a “happy birthday” on Facebook or Instagram today will be entered to win a $20 gift card! Speaking of specials, everyone knows that the second Thursday of each month is Roast Beef Thursday! We’ve got a half-pound of roast beef piled high on a brioche bun with grilled onions & mushrooms, bacon, smoked gouda cheese, and brown mustard with the fryer lottery on the side! Have you ever been out to eat and ordered french fries, but one tater tot made it in there? It’s like that – you might get some fries, chips, onion rings, tater tots – anything is up for grabs! Today’s special is $12.00. Soups today are Chicken Tortilla, Braised Beef Vegetable, and Roasted Apple Pumpkin Bacon along with Chili, Chicken Noodle, and Lobster Bisque! Have a great day Dayton and we will see you tomorrow for the Tag Team Battle Royal Round IV – The Deli vs Sherwood Florist! 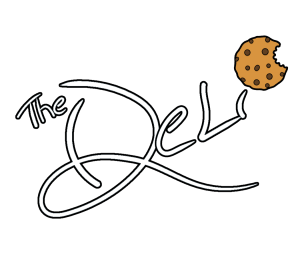 On the ninth day of Deli Christmas, The Deli gave to me… The Deli Drive-in Double Feature! 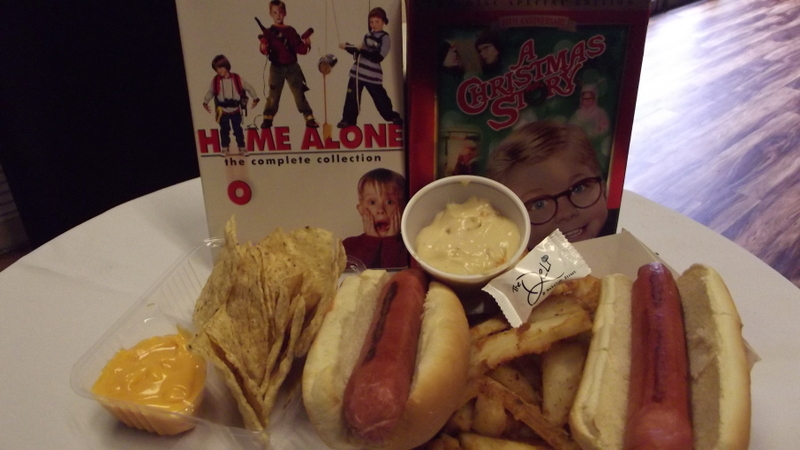 Today we will be playing Home Alone and A Christmas Story back-to-back while serving some movie theater favorites: hot dogs, nachos and popcorn! The movies will be playing in our Middle Bay room so feel free to have a seat and enjoy! The special today will be two grilled hot dogs served with pub-seasoned fries and your choice of either a gourmet cheddar cheese sauce or our ghost pepper white queso for $7.00! Add nachos with cheese for $1.50! Soups today are the Mushroom & Brie Bisque, Chicken Tortilla, and Roasted Apple Pumpkin Bacon with Chili, Chicken Noodle, and Lobster Bisque! Have a great day Dayton and we will see you tomorrow for The Deli’s 10th Birthday and Roast Beef Thursday! Anyone that brings us a birthday card tomorrow will receive tomorrow’s special for half-price, and anyone that wishes us a “happy birthday” on Facebook will be entered to win a $20 gift card! Day #8 and State #50: The Last Stop on Our 50 State Sandwich Tour: Ohio! On the eighth day of Deli Christmas, The Deli gave to me… State #50 on The 50 State Sandwich Tour: Ohio! We started our 50 State Sandwich Tour on July 20th, 2015 in Alabama to celebrate Bobby G’s birthday and 141 days later (or 12,181,400 seconds) we are back in Ohio. 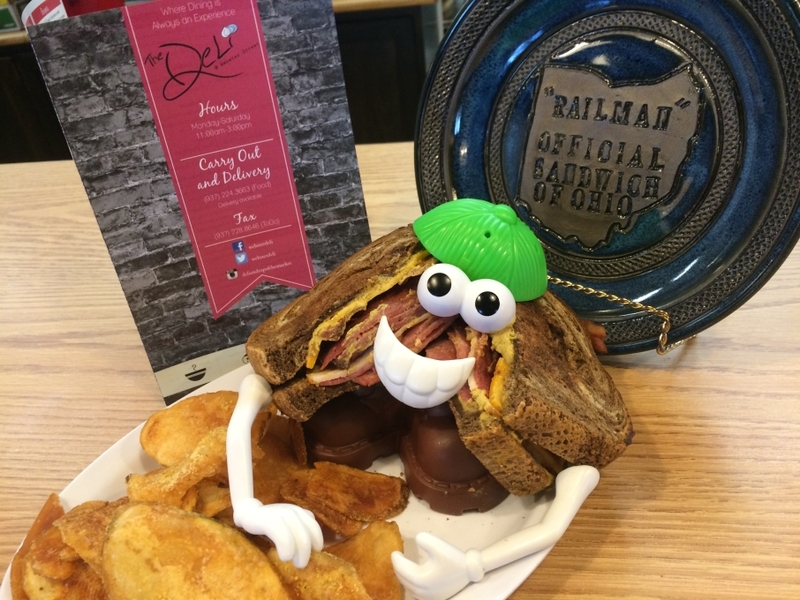 This is a special moment for us here at The Deli and we are excited to make an announcement: The Railman has been designated the Official Sandwich of Ohio! To celebrate and pick up his plaque, Mr Railman is back in town! The Railman consists of pastrami, salami, turkey, bacon, brown mustard, and cheddar cheese on marbled rye, and comes with your choice of side (Deli chips, french fries, onion rings, sweet potato fries, or tater tots), a fountain drink, and a cookie for $10.99! Soups today are Tomato Tortellini, Broccoli Cheddar, and Garden Veggie, as well as Chili, Chicken Noodle, and Lobster Bisque! We hope everyone enjoyed The 50 State Sandwich Tour and we hope you join us for more adventures next year! 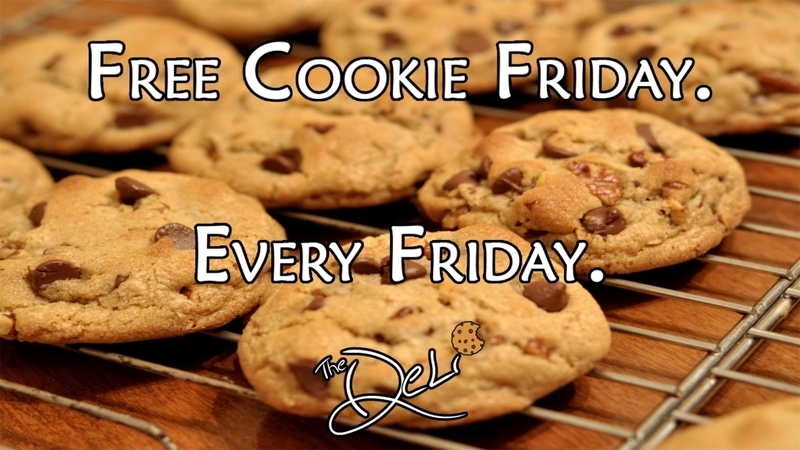 Have a great day Dayton and we will see you tomorrow for The Deli Drive-in Double Feature! Don’t forget – the Birthday Blanket Bash is just one week from today! On the seventh day of Deli Christmas, The Deli gave to me… Merry Meat Monday! We are in Utah today for our second-to-last stop on our 50 State Sandwich Tour! While here in Utah, we will be giving you a Christmas twist on our Mega Meat Monday series. In the Christmas spirit of giving, we will be giving you the meat sweats! 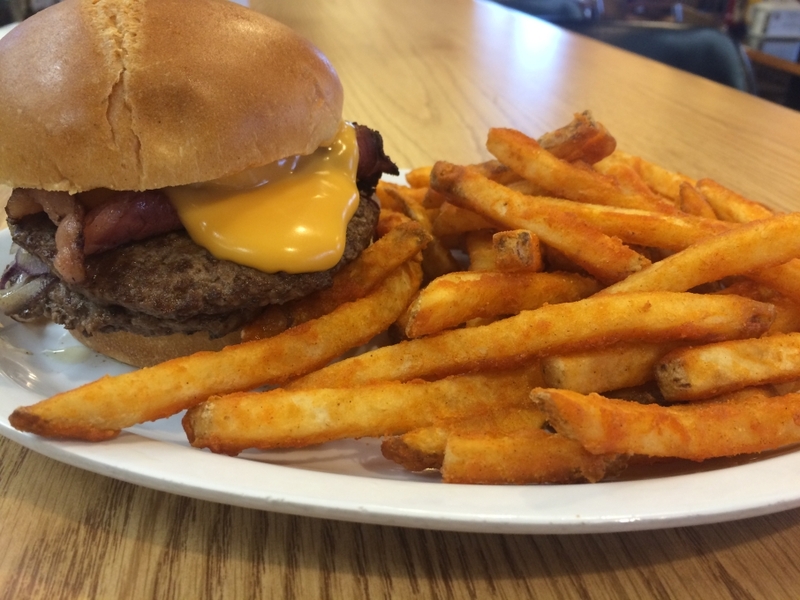 We’ve got pastrami piled onto two grilled hamburgers, with grilled onions, brown mustard, and a gourmet cheddar cheese sauce all on a brioche bun with a side of spicy fries for $9.75! Soups today are Butternut Squash, Chicken Pot Pie, and Chicken & Wild Rice as well as Chili, Chicken Noodle, and Lobster Bisque! Have a great day Dayton and we will see you tomorrow for the final stop on our 50 State Sandwich Tour: Ohio! Don’t forget – only 8 days until the Birthday Blanket Bash! On the sixth day of Deli Christmas, The Deli gave to me… Siesta Sunday! We will be serving a Mega Meat Monday special with a Christmas twist! We will be coming home for the last stop on our 50 State Sandwich Tour: Ohio! The Deli will be playing A Christmas Story and Home Alone, as well as serving movie theater nachos and popcorn for the special! We’ve got two days in one here! Everyone knows that the second Thursday in December is Roast Beef Thursday, so we will be having a roast beef special. Anyone that brings in a birthday card for The Deli’s 10th birthday will receive the special for half-price, and anyone that wishes The Deli happy birthday on Facebook will be entered to win a $20 gift card! We will be continuing our Tag Team Battle Royal series as Jungle Joey and Slammin’ Sammy take on Jesse and Bev from Sherwood Florist! 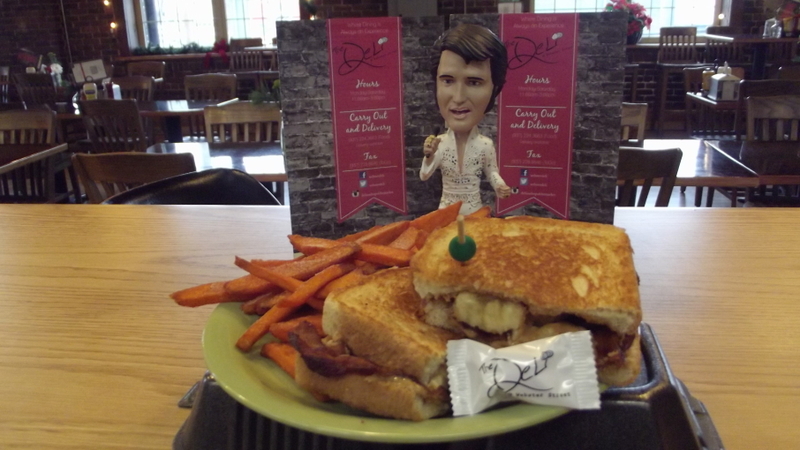 We will be rocking out to the Elvis Presley Christmas album all day while serving one of Elvis’ favorite sandwiches – peanut butter, bacon, and banana! The Deli is closed, so make sure to rest up as the next two days will be busy! Join Mark and Jeremy at Fifth Street Brewpub at 6:00pm to help raise funds and awareness for The Blanket Program! 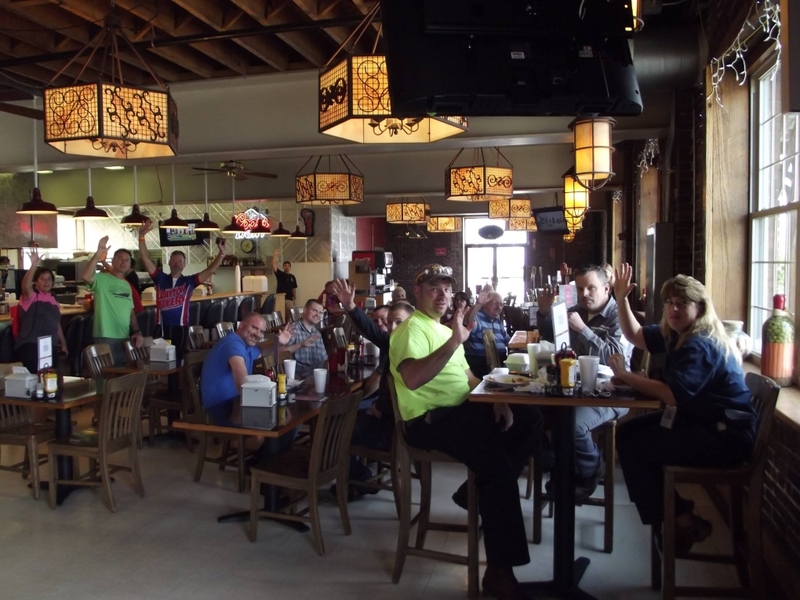 A portion of the proceeds from the restaurant will be donated to The Blanket Program to purchase fleece. We will be tapping a special Winter Warmer style beer for the event! This is the big day! Join us here at The Deli & Top of the Market for our Birthday Blanket Bash! We are celebrating out 10th birthday while we make fleece tie-blankets for St Vincent de Paul and Dayton Children’s Hospital. The event is free to attend and is open to all ages, with food provided by us, a photobooth provided by Liftoff Entertainment, tunes and entertainment provided by Party Pleasers, and cupcakes provided by Cake, Hope, & Love! On the fifth day of Deli Christmas, The Deli gave to me… Ugly Sweater Day! Anyone that comes into The Deli today wearing their favorite ugly Christmas sweater will receive a free cookie and fountain drink! We all know that ugly Christmas sweaters pair well with chicken bacon phillies! 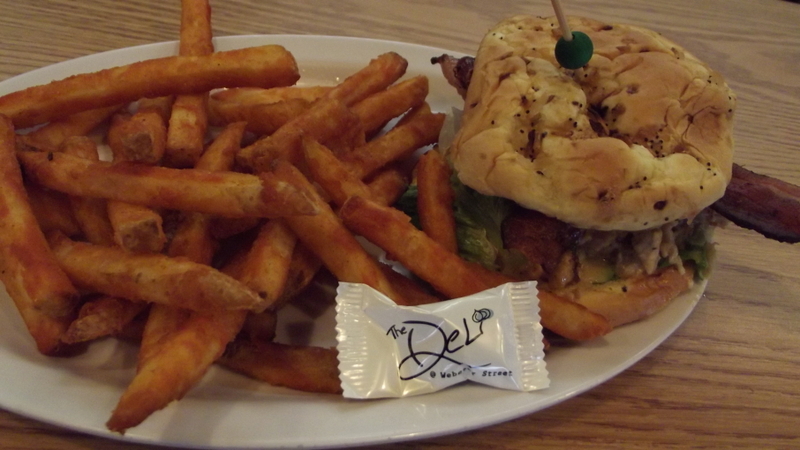 We have grilled chicken tenderloin mixed with fire-roasted onions and peppers, our super cheese blend (asiago, fontina, mozzarella, parmesan, and white cheddar) and topped with bacon on an onion roll on a bed of lettuce and tomatoes, served with a side of seasoned fries for $9.00! Soups today are Cream of Mushroom, Parmesan Kale Italian Sausage, and Baja Black Bean Chicken Enchilada as well as Chili, Chicken Noodle, and Lobster Bisque! Have a great day Dayton! Take a nap tomorrow for Siesta Sunday and prepare yourself for the rest of Deli Christmas! Don’t forget – only 10 days until the Birthday Blanket Bash!